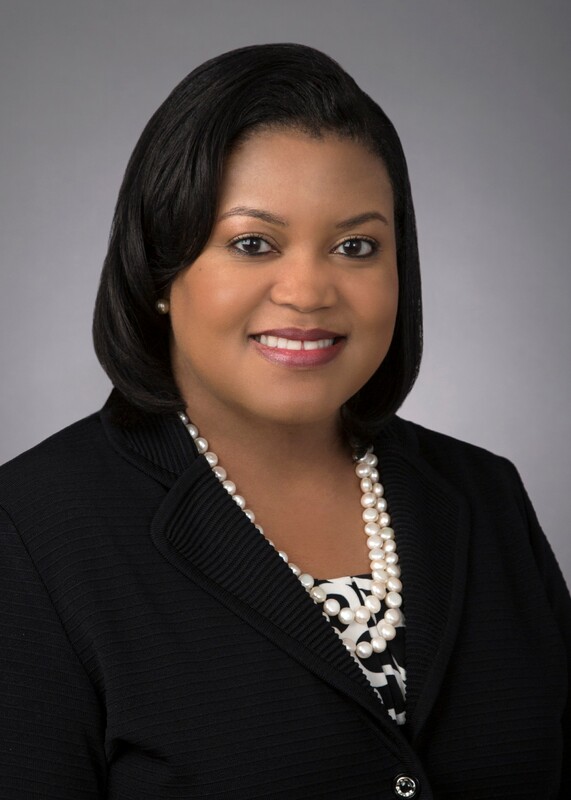 Colette D. Honorable is a member of Reed Smith’s Energy and Natural Resources Group resident in the Washington, D.C. office. Colette is a highly regarded policymaker in domestic and international energy sectors. Colette recently served as commissioner at the Federal Energy Regulatory Commission (FERC). She was nominated by President Barack Obama in August 2014, and unanimously confirmed by the U.S. Senate in December 2014 for a term that expired in June 2017. At FERC, Honorable focused on reliability oversight of the bulk power system, cyber and physical security, oversight of wholesale markets, transmission planning and cost allocation in regional transmission organizations, gas-electric coordination, renewables integration, energy storage integration and valuation, enforcement, ratemaking, infrastructure development, and enforcement matters. Colette joined the FERC from the Arkansas Public Service Commission (PSC), where she served since October 2007, and led as chairman from January 2011 to January 2015. As chairman of the PSC, Colette was charged with ensuring safe, reliable and affordable retail electric service. During her tenure, Arkansas led the South and Southeast in comprehensive energy efficiency programs, and electric rates were consistently among the lowest in the nation. Both state and federal regulatory appointments culminated in nearly 10 years of regulatory experience in key leadership roles. Prior to joining the Arkansas PSC, Colette served as chief of staff to the Arkansas Attorney General and as a member of the governor’s cabinet as Executive Director of the Arkansas Workforce Investment Board. Her previous employment includes service as a consumer protection and civil litigation attorney, and as a senior assistant attorney general in Medicaid fraud before serving as an adjunct professor at the University of Arkansas at Little Rock School of Law and Special Judge of the Pulaski County Circuit Court. Colette is a nonresident senior fellow of the Cross-Brookings Initiative on Energy and Climate; a senior fellow with the Bipartisan Policy Center, a member of the Global Advisory Board for the Energy Futures Initiative; and an ambassador for the Clean Energy Education and Empowerment Initiative, an effort co-led by the U.S. Department of Energy and the MIT Energy Initiative formed under the auspices of the International Clean Energy Ministerial. She has also held previous appointments to the National Petroleum Council and served as chair of the Department of Transportation’s Joint Technical Advisory Committee for the Pipeline and Hazardous Materials Safety Administration. A native of Arkansas, she is a graduate of the University of Memphis and received a Juris Doctor from the University of Arkansas at Little Rock School of Law. [On energy storage & markets] Take energy storage for example, I can't say that policy development and regulation caused prices to go down significantly but I can say without hesitation that policy development and the proper amount of regulation in wholesale markets have removed barriers for the integration of energy storage resources in wholesale markets. For those states that are working with what [energy resources] they have to meet their [climate and other public policy] goals, I applaud them and we should support them. [On the U.S. Energy Information Administration energy outlook & energy transitions] I didn't find surprises in this outlook, but confirmations. One is the strength and importance of fuel and resources diversity.